Pick up from your hotel at 7.30 am depart for Arusha via Namanga border town for immigration formalities on arrival you will be met by one of our staff in Arusha followed by safari briefing, rest of the afternoon at leisure overnight at Arusha hotel. DAY 2: Arusha- First Cave. Pick up from your hotel at 8.00 am and drive to Machame gate, then drive to Umbwe village where the climbing start at the gate forest cave / first cave (2900m) where you will have dinner and overnight. A 4 hrs hike will take you to Barranco Camp all meals and overnight at Barranco Camp at 3950m, this is where you can acclimatize your body. This is another day for acclimatization, after breakfast continue with the hiking through a steep rocky Barranco walls then ups and down until you come to Karanga valley about 3 hours. All meals and overnight at Karanga valley. Breakfast then continue with the walk up and down along the stone and sand till you reach Barafu camp in about 3 hours, as soon as you arrive at the campsite make sure you try to rest a lot and prepare all the staff you brought for the mountain, because you will start the last point around 1:00am.all meals and overnight at Barafu camp. DAY 6: Barrafu Camp – Uhuru Peak – Mweka Camp. Very early breakfast, then start for the summit at 1:00am first to Stella point and then to Uhuru peak (5895m ). 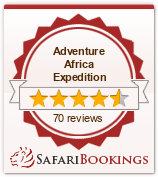 It is recommended to take few minutes for Photo, then descend to Mweka camp for dinner and overnight .